Since 1940 Rain-blo has been orange, red, yellow, green and dark purple…inside and out. 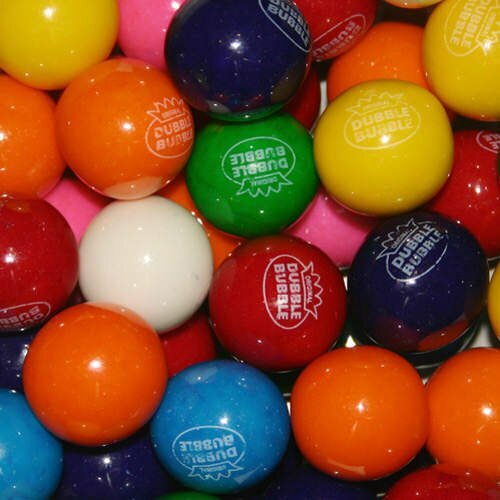 This was the first gum ball created where the color actually IS the same as the flavor. Each gumball is complete with a thin hard candy shell and a hollow center. The fabulous gumballs proved that blowing bubbles doesn’t need to be pink. So much has changed since the first Ferrara candy rolled off the line and into stores in 1908. But the same creativity and innovation that fed those early years remains at the heart of our company. In fact, it’s what has made us the number one non-chocolate candy manufacturer in the U.S. We’ve got a sweet history — but an even richer opportunity for future growth and success is right at our doorstep. Our mission is to take the brands that have been loved for generations to the next level. In 2012, we brought together brands like Trolli, Brach’s, Black Forest, Now & Later and Lemonhead. We’re continuously innovating to bring the best-tasting, highest-quality confections to the marketplace. Dubble Bubble gumballs were created in 1928 by Fleer Candy accountant Walter Diemer, who said the recipe was an accident! It featured a comic strip with brothers Dub & Bub (replaced by Pud in 1950). It grew in popularity and was even distributed in World War II military rations. Today, Dubble Bubble is part of Concord Confections (Tootsie Roll). Double Bubble Brand Gum - Ships FAST from Boston! 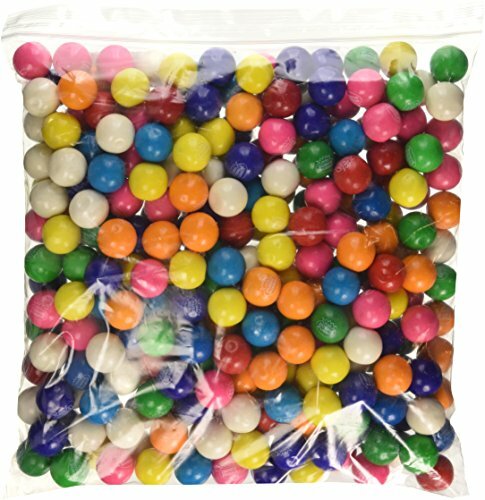 Small Carousel Gumballs Refill Bag (.62"/16oz) These yummy Carousel gumballs will work in any of our Carousel gumball machines. 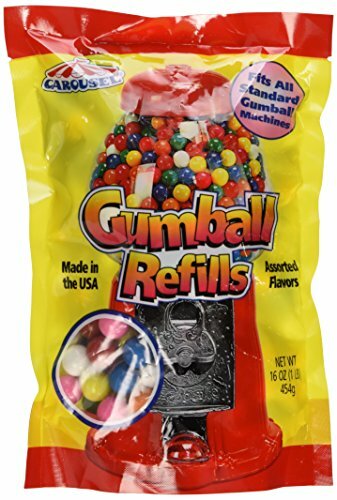 This Carousel gumball refill includes 226 gum balls in assorted fruit bubblegum flavors. Packed in a re-sealable bag to ensure they stay super-fresh! 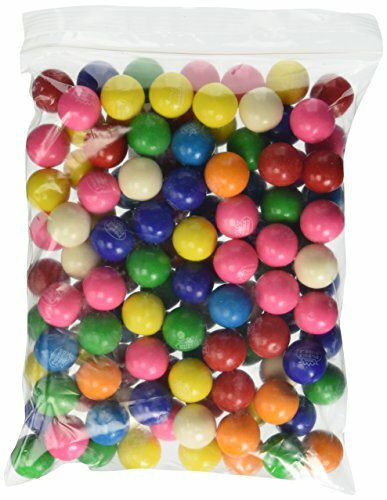 - Flavors: Assorted fruit bubblegum - Colors: Red, blue, green, yellow, pink, orange and white - Size: .62 inch diameter - Weight: 16 ounces (1 pound) - Quantity: 226 gumballs per bag - Manufacturer: Carousel / Ford Gum (made in the USA) Carousel are certified Kosher gumballs. 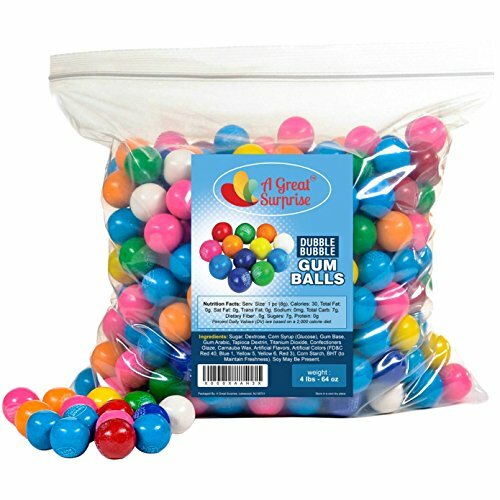 Dubble Bubble Assorted Gumballs - 850 Count Bulk Case These 850 count Dubble Bubble gum balls (aka Double Bubble) come in a traditional eight flavor mix of assorted fruit flavors. The 8 flavors are strawberry, pineapple, blueberry, lemon-lime, orange, cherry, banana, and grape. Each gumball is 1" or 25 mm in diameter, the standard size for commercial gumball vending machines. Refill your gumball machine with these fresh and delicious gumballs today! 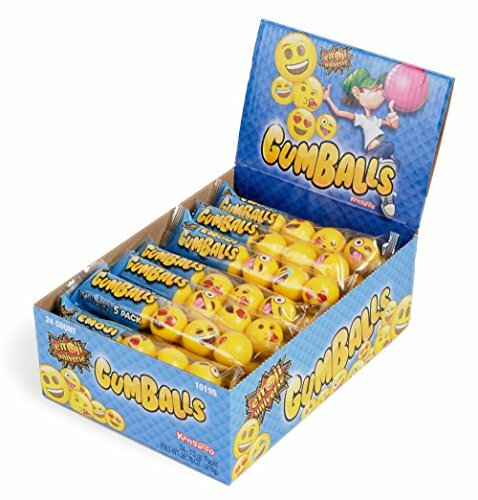 - Flavors: Strawberry, pineapple, blueberry, lemon-lime, orange, cherry, banana, grape - Size: 1 inch / 25mm diameter - Quantity: 850 gumballs per case - Weight: 17 pounds - Manufacturer: Concord Confections / Tootsie Roll - Logo: A "Dubble Bubble" logo is imprinted on each gumball Freshness Guarantee: Gumballs-com gum balls are the freshest and tastiest gumballs in the world! Our gumball warehouse receives factory-fresh gumball deliveries every week. 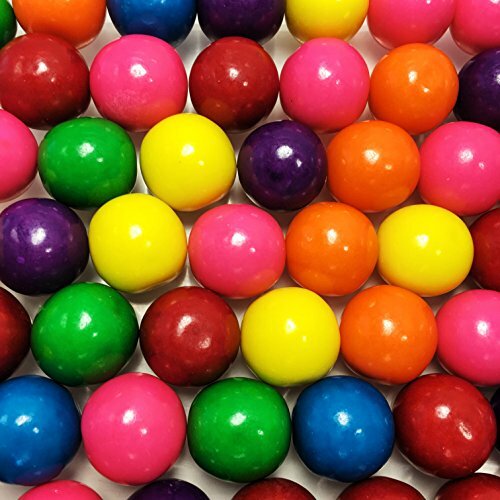 With our high volume and turnover rate, our gum balls are NOT warehoused for months before shipped to you, so you'll enjoy a long shelf-life (about 10 months). Gumballs-com guarantees your gumballs will be super-fresh when you receive them. Try our delicious gumballs and taste the difference yourself! Dubble Bubble are certified Kosher gumballs. 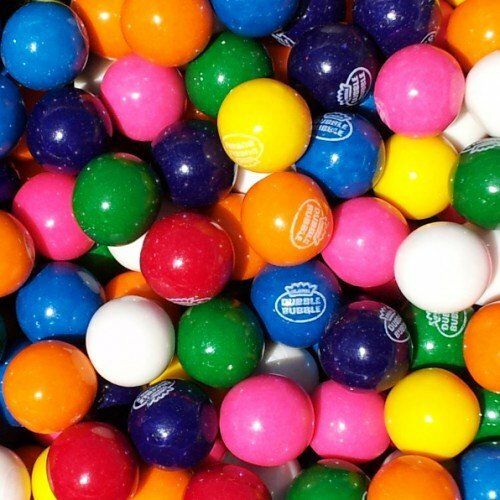 The Dubble Bubble Assorted Mini gumballs are a favorite. 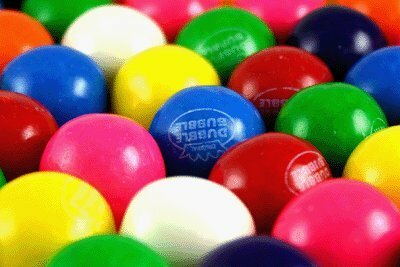 They are popular world wide in vending machines, Kids love these gumballs because they taste great! They also are famous for bubble blowing competitions. Many consumers have these in their homes in a non commercial home vending machine for fun. Let your kids earn them by being good. Sweetworks-Gumballs Peg Bag. SweetWorks gumballs let you have candy-themed events that will be hard to forget. Make your upcoming event holiday party or baking project a sweet success. 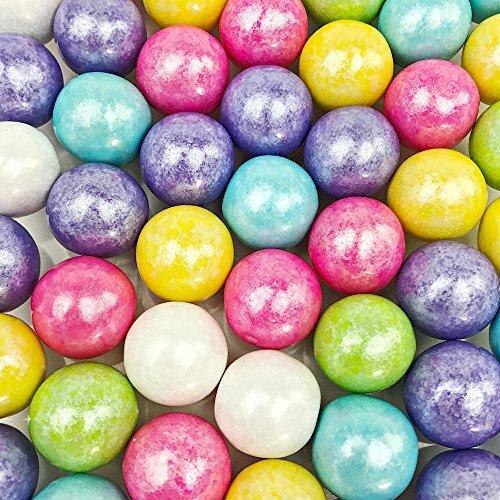 Candy- coated gum filled balls are about 20mm in diameter. This package contains one 8oz bag of gumballs. Comes in a wide variety of colors. Each sold separately. May contain soy and milk. Made in a factory that does not process nuts. Gluten Free. Imported. CONCORD. 16.25 LBS. FULL CASE WITH DISPLAY. 1" GUMBALLS, assorted colors and flavors, perfect for holiday or get together, the kind you see in vending machines. We ship to APO/FPO. Cyber Monday specials. 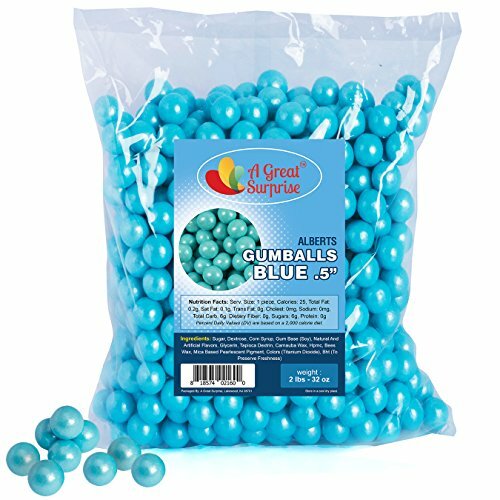 These 1/2 inch Pearl Light Blue Gumballs are deliciously fruit flavored in the traditional gumball fashion. 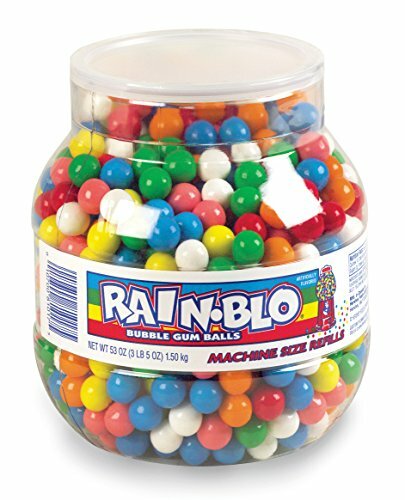 Hard, but chewy, these mini gumballs soften with every chew with no loss of flavor. 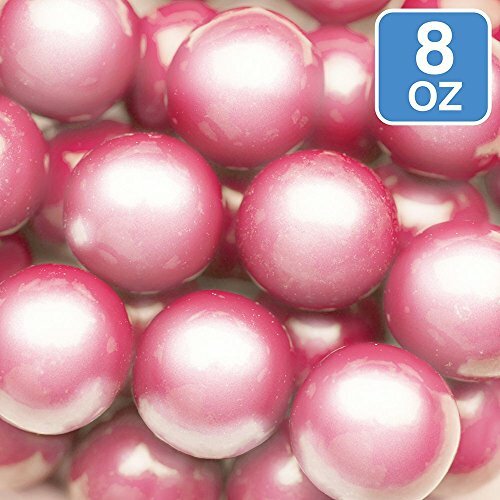 These shimmer gum balls are beautiful to look at and even more delicious to taste, you'll have all the admirers gawking when they see what's stacked up on your plate. Bite into its glossy colorful exterior and let the juiciness of boundless fruit flavor soak your taste buds. Perfect addition to any theme party, such as child's birthday party, baby shower, anniversary or anytime occasion. Elegant and classy enough to put on display in a candy bowl or for any candy buffet. Ideal to fill that gumball machine in your office or shop, or even leave out in a candy dish for visitors and customers! We make it easy to get the amount you need for gatherings or everyday snacking with our money-saving bulk gumball pack. Buy in bulk to save money. Includes 2 lbs with approximately 620 pieces per bag. Great candy that will be loved by kids of all ages (and adults too). Enjoy these sweet treats with many enticing flavors of the classic candy you crave. Made in the USA. Items are repackaged in a facility that may contain milk, soy, peanuts, tree nuts, eggs, wheat and all other allergens. Have Fun With Your Gumballs. Same Delicious Bubble Gum Flavor But with 5 Unique Emoji Universe Designs. Kangaroo's Emoji Universe Division Makes A Small Gumball Machine with Starter Gumballs. 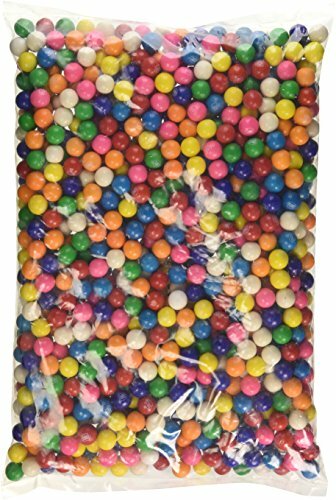 This 120 Bulk Gumball Display Serves As Refills But Also Fits Universal Gumball Machines With 1" Or Greater Mouth. 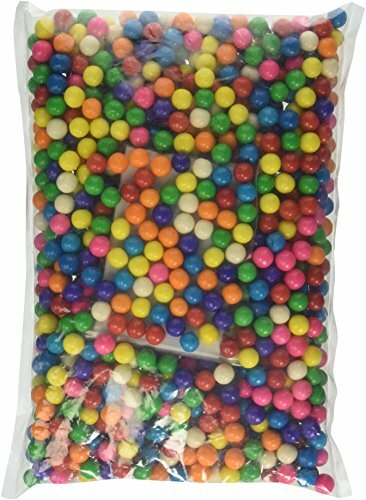 Gumballs Bulk- 120 Gumballs. 24 Packs Of Gumballs; 5 Gumballs Per Pack!